This is what happens when the mode dial gets turned accidentally & your not aware of it! Canon really should have a locking mechanism for the dial! Obviously the shutter speed was much slower than my normal 1/1600th of a second! Canon has a flaw in it’s camera’s! There is no locking mechanism for the “mode” dial! I use “Manual” almost exclusively. When I put my camera back into my bag,it would appear that the dial rubs up against the bag and slides to another mode. I do try to be careful with it,but cannot check it all the time & bloody well shouldn’t have to anyways! What happened here is that the dial got moved unbeknownst to me to the “Aperture Priority” mode. The shutter speed was too slow and not only overexposed it but blurred it. I normally curse & throw it away but this one I like. Occasionally a mistake turns out! With the amount of mistakes I make,I have hundreds to chose from! Canon really should have a locking mechanism on their mode dial! It really wouldn’t cost them anything to do it. I shoot with a Cannon 5D and it has a small problem. The mode selector dial does not have a locking device on it. If you place the camera down,you can bump the dial and change the mode. Thats what happened here. The shutter speed was way too slow! However my panning seemed to be dead on! This has happened to me several times and I miss opportunity’s! Sometimes things happen so quickly that I cannot always afford the time to check the shutter speed. My shutter speed was too slow and blurred Romeo. 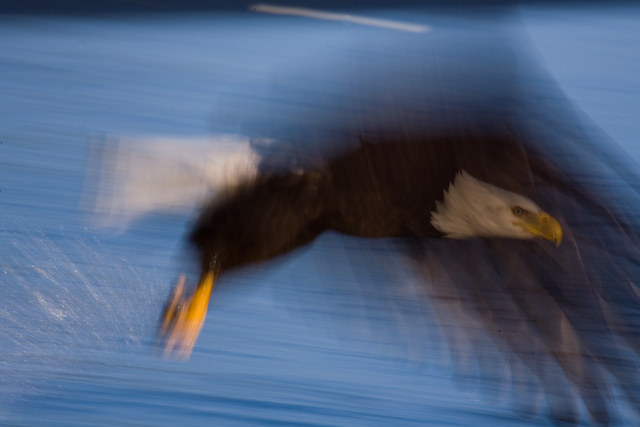 However,my panning was good enough to keep him solid for a split second. Normally I throw these out,but on occasion I get one that works. I screwed up the exposure on this. However,it has merit as a abstract! This is what happens when your shutter speed is too slow. Normally I delete these,but I like this one on the abstract basis! Sometimes mistakes can be good! This is a mistake. 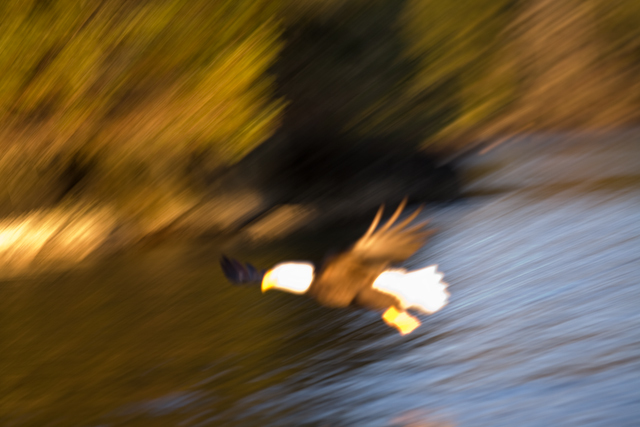 I had the shutter speed set too slow. However,I was able to Pan accurately enough to get a half decent abstract out of it! Sometimes our mistakes ,can work!